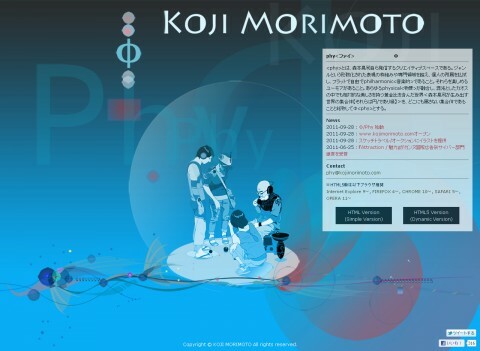 September 28th 2011, Kōji Morimoto who is one of the most important Japanese anime directors and was the main creator at world famous animation studio STUDIO4℃ launched his own, small but elite, firm Φphy. “We will suggest and develop hi-quality video images and original design and ideas that no one has ever seen before in this world (quoted from Φphy’s website)”. Can’t take your eyes off him! Φphy / Copyright © KOJI MORIMOTO All rights reserved. Limoon Land is now on App store!